The film itself isn’t fantastic, but it contains a song that is very popular among fans of P. Ramlee’s music. 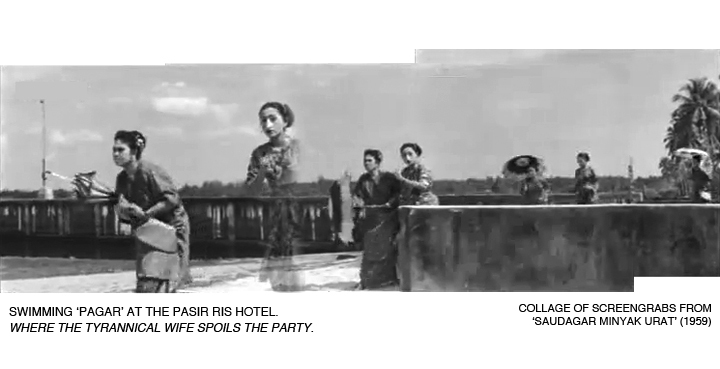 The song is ‘Bila Mama Pakai Celana’ (literally ‘When Mama Wears Pants’), composed by P. Ramlee and sung by Aziz Sattar in the film. 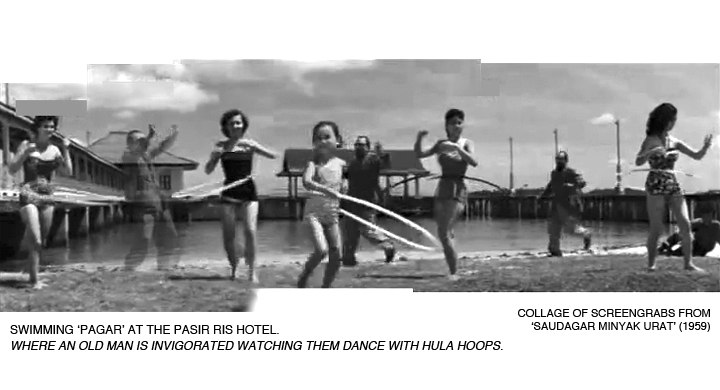 The song sequence has Aziz and a group of bathing suit-clad revelers dancing to the song while twirling the hula-hoop. 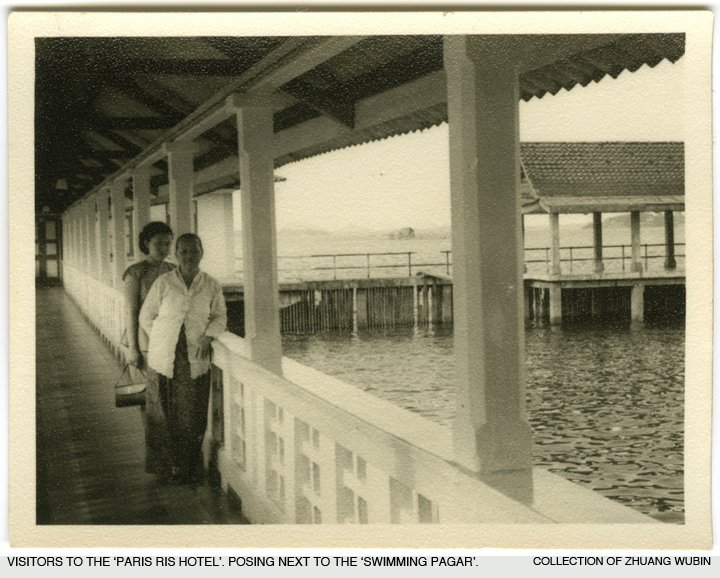 It was filmed on location at Paris Ris Hotel’s swimming ‘pagar’ (a sea-water swimming pool formed by planting ‘fences’ in the waters around a beach). 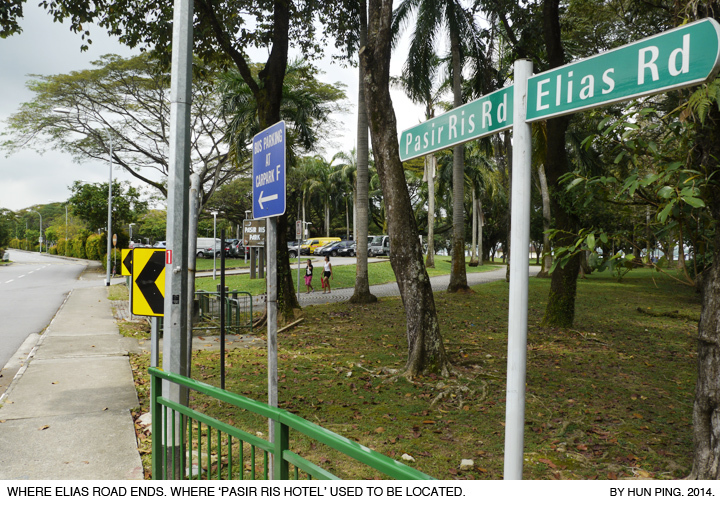 The Pasir Ris Hotel, located along the Pasir Ris beach at the end of Elias Road, opened in mid-1952 and was converted from a mansion belonging to the late Joseph Elias. 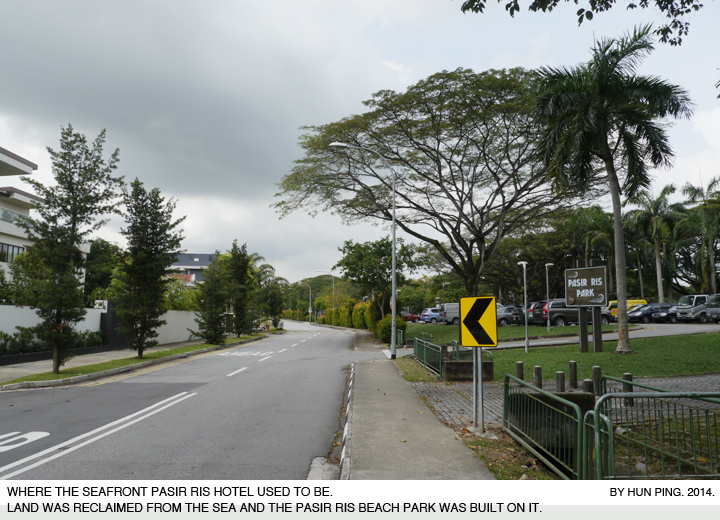 By May 1959, it had become a transit hotel for the British Royal Air Force personnel and their families. 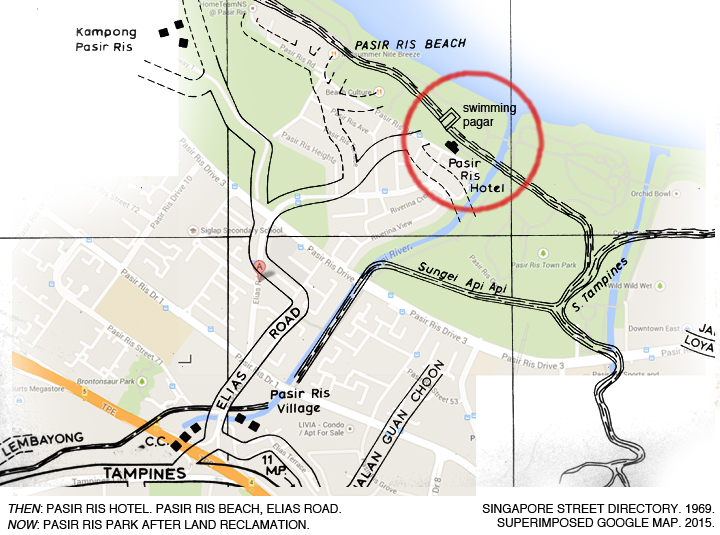 There were multi-million-dollar plans to develop and extend the hotel into a tourist centre and resort in 1976, but these prospects were probably shelved when it was decided that the waters off the beach near the hotel would be reclaimed and developed into a town park. 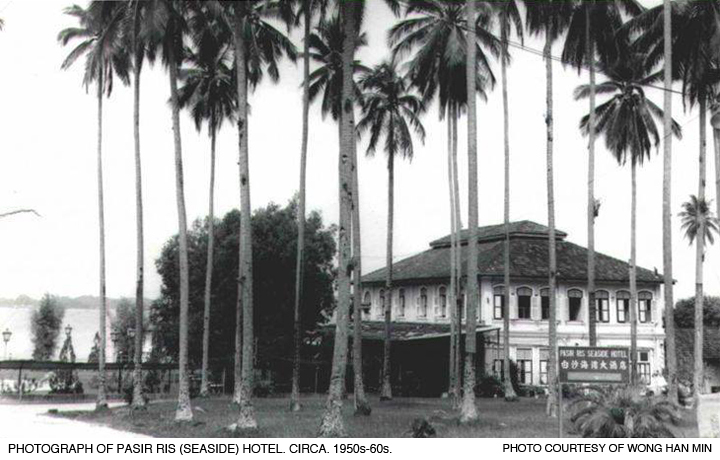 The hotel bungalow was kept open at least until 1983 but was demolished when land reclamation works at Pasir Ris went underway between the mid-1980s and ‘90s. 1. ‘Bau kemenyan, suara orang mengilai, hantu? Bukan, chuma ‘bomoh’ di-serap!’ Berita Harian. 19 December 1958, p. 7. 2. ‘New hotel by the sea’. The Straits Times. 18 May 1952, p. 3. 3. ‘Beach Hotel now an RAF hostel’. The Straits Times. 7 May 1959, p. 7. 4. 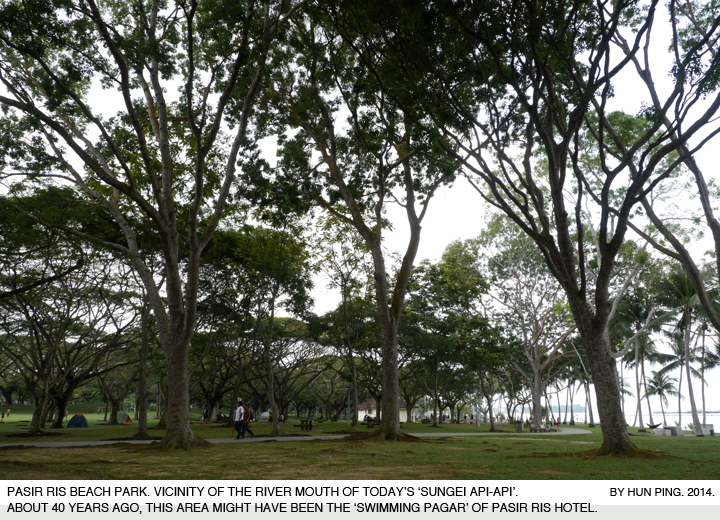 ‘$35m plan to turn Pasir Ris Hotel into tourist centre’. The Straits Times. 31 October 1976, p. 9.